I’m one of those obnoxious dog owners that created an Instagram account for my furry best friend. I spam family, friends, and coworkers on all social media platforms with near-daily photos of Crash, my seven-year-old Pembroke Welsh Corgi. He’s just as important as any other family member (maybe even more) around the holidays – he has his own stocking filled with treats, rawhides, stuffed animals, and of course his favourite squeaky tennis balls. I also show my love and appreciation by forcing him to wear festive attire for themed photo shoots – that’s normal right? “Trixie has a Christmas dress and Ruby has a candy cane outfit we put them in,” said Kevin Alfred. Due to Crash’s dense bread-loaf shape, he unfortunately cannot fit knitted holiday sweaters. He definitely wasn’t a fan of deer antlers that resulted in a melancholy photo in 2014. So, what else do people do to incorporate their pets into holiday traditions? “Molly has a stocking at our house, along with an ornament on the tree. We buy her special treats from Santa. She attends Christmas dinner with my family at my parents house,” said Kahnawake Animal Protection officer Deidra Whyte about her dog. “My cat has her own stocking and her Santa outfit. She also ‘helps’ wrap presents by laying on the paper,” said Maylan Jacobs. I’ve never owned a cat, but the more cat owners I spoke with mentioned things less about incorporating them into their traditions, and more about preventing destruction. Whether you have a climbing cat or a dog that’s oblivious to the destruction it’s wagging tail causes, decorations and trees ought to be anchored securely to avoid minimal damage. I’m lucky in that regard because Crash doesn’t have a tail, but like all corgis, he has a very curious nose, and what seems to be an iron stomach. I caught him gnawing at a box of Ferrero Rocher under the tree a few years ago, so now all food-related gifts remain above Crash-height. Don’t forget, some plants are also toxic to plants. Be sure to keep pets away from mistletoe, amaryllis, holly and poinsettias. If consumed, they may cause vomiting, diarrhea and other problems that would put a significant damper on any holiday festivities. If you’re a pet owner, for goodness sake’s just forget about decorating with tinsel, angel hair, ribbons and garland. 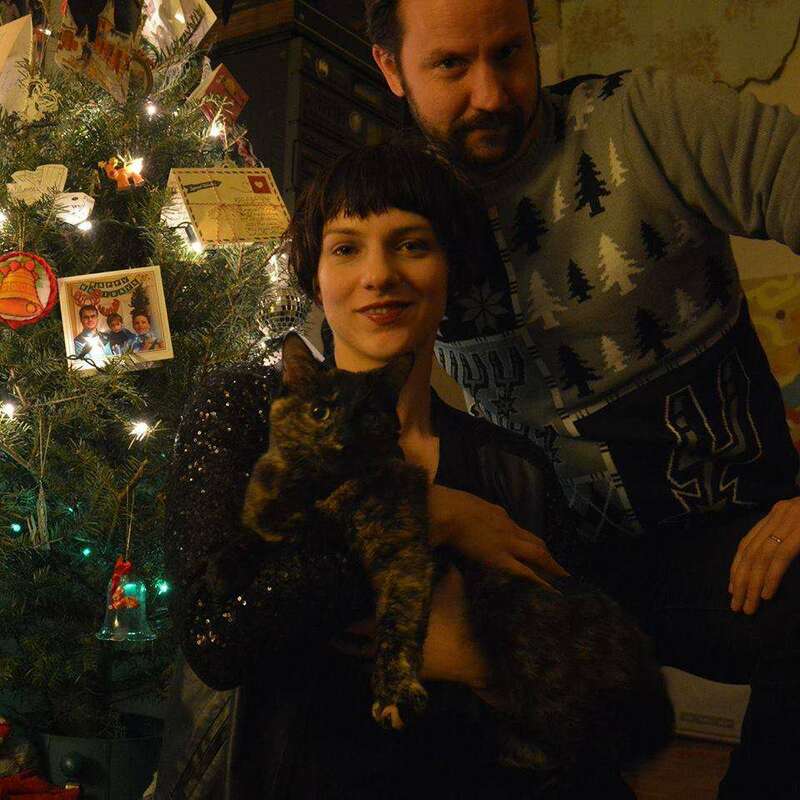 “They will eat it, and they will poop it out,” said Eastern Door reporter Daniel J. Rowe… from experience with his tortoiseshell kitty Wako (@wakothetortie), who is never absent from a family Christmas photo. Never.